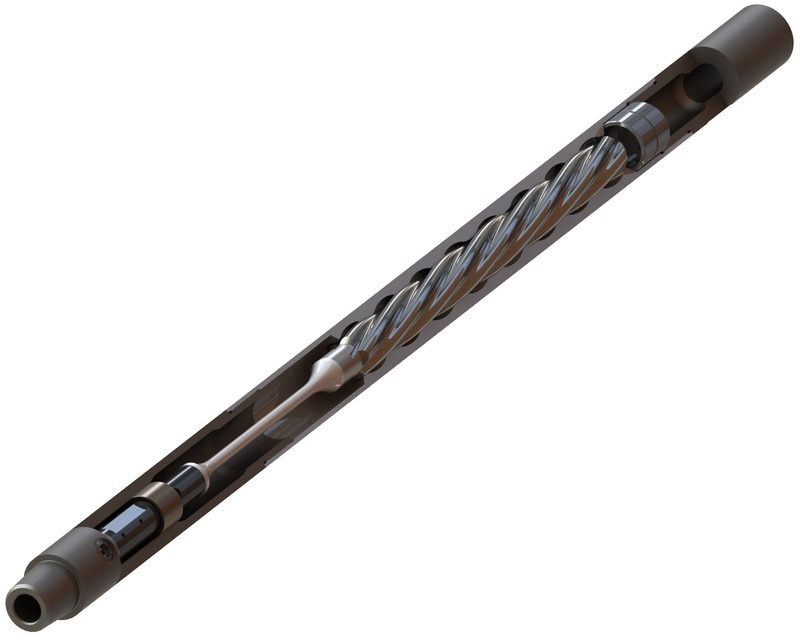 The Completions Toe Tapper is a coiled tubing friction reduction tool that uses a negative pressure pulse to create an axial force at a low frequency, resulting in a periodic fluid hammer effect which stimulates the coiled tubing to reduce frictional drag. To achieve maximum tool efficiency, approximately 5%-8% of the fluid being pumped down the coil tubing is vented to the annulus through a nozzle near the bottom of the Toe Tapper. This venting generates a more efficient negative pressure pulse, which produces the fluid hammer effect responsible for breaking friction. The low frequency negative pressure pulse actuates the coiled tubing over a longer period, allowing the coiled tubing more time to move. The fluid venting also permits slightly higher pump rates, which in turn improves debris removal and well cleaning.